UKRO was founded by entertainment lawyer Kenneth Kleinberg, who in 1999 was diagnosed with a kidney ailment that to this day has no known cause. Mr. Kleinberg suffered renal failure in 2001, and was a dialysis patient for the next six years until receiving a successful kidney transplant in 2007. 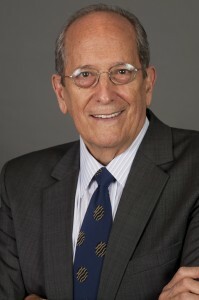 In 2002 with a small group of committed individuals and with the help of Dr. Vito M. Campese, then Professor and Chief of the Division of Nephrology and Hypertension at USC Keck School of Medicine, UKRO was established as a non-profit organization to provide support for kidney disease research.